BIOREN® Liquid Lamb Rennet Paste Semi Piccante is especially used for strongly flavoured cheeses where sheep lipase is wanted for the development of the typical ripening flavours. NB – Due to import regulations by the United States, we are unable to send rennet to the USA. Natural Lamb Rennet. Special for sheep milk. Can also be used for other milk, Experiment with different flavours. SHAKE WELL BEFORE USE – as this product tends to un-mix during storage it is necessary to shake well before each use to guarantee the ideal and unique mixture of enzymes. 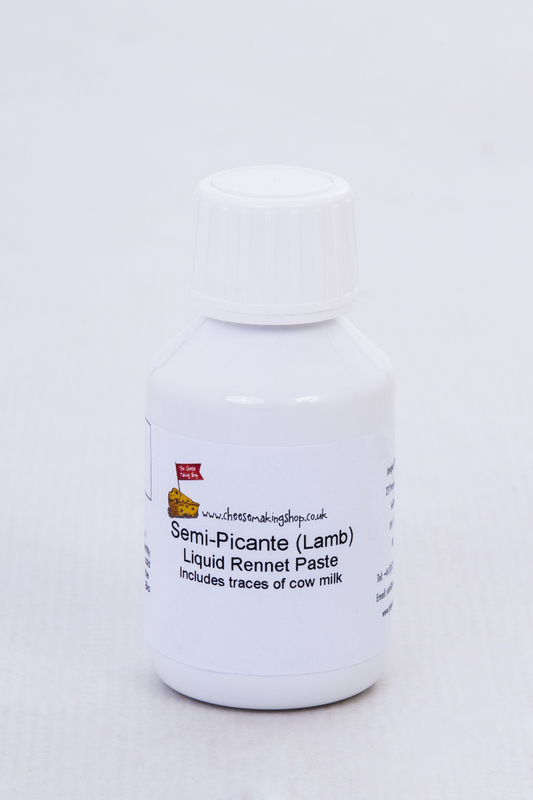 •BIOREN®– Liquid Rennet Paste Semi Piccante is especially used for strongly flavoured cheeses where sheep lipase is wanted for the development of the typical ripening flavours. But also mixtures of milk or pure cow’s-milk will be very suitable in combination with BIOREN®– Liquid Rennet Paste Semi Piccante to produce extraordinary cheeses. • The dosage quantity is determined by the quantity of milk, the required process parameters (pH, temperature, required coagulation time) and enzyme concentration. The standard dosage quantity varies between 15 to 30g per 100 litres of milk – depending on the individual cheese type. 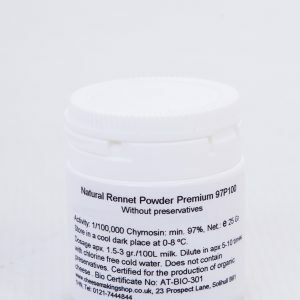 • BIOREN® (Natural Lamb Rennet) Liquid Rennet Paste semi Piccante should be stirred into 10 to 20 times of the amount of chlorine free cold water and then be added to the milk. Because of its natural pureness BIOREN®– Liquid Rennet PasteSemi Piccante does not need to be filtered and can therefore be directly added to the milk. 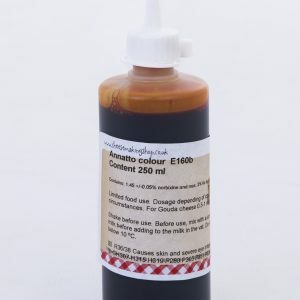 BIOREN® Liquid Rennet Paste Semi Piccante is a brownish to yellow cloudy liquid with natural cheesy odour and contains only approx. 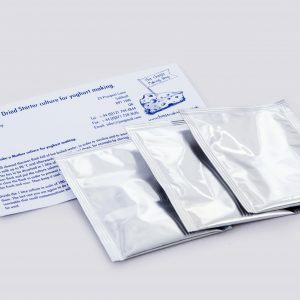 ≥18% table-salt (sodium chlorite) and 0,5% of Sodium-Benzoate and is therefore safe to utilise. As with all natural enzymes, BIOREN® Liquid Rennet Paste Piccante should be stored at a dark place at a temperature between 0°C and +7°C. For product storage times over 6 months the enzyme activity might fall by 1- 5% per month. A storage over the indicated date on the label does not necessarily mean that the product is unemployable. In this case for quality management reasons a check of the needed values is indispensably recommended. NB – Image for illustration purposes only.